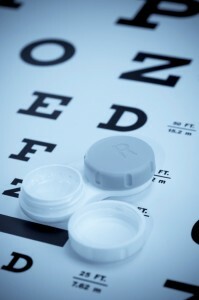 Most major manufactures advertise their lenses extensively. You will see them on TV, in magazines and on the internet. There are literally thousands of designs. And, while most of these products are exceptionally good, there is only one lens that is perfect for your eye. Our job is to assess your vision, your general and eye health, your lifestyle, your work environment and your wear schedule to find the right lens for your eye. We will choose a design and we will guaranty your satisfaction. We want you to see well, be happy and healthy and tell everyone you know where you got your contact lenses. Parrelli Optical® fitting your eyes with the right contact lenses for you.